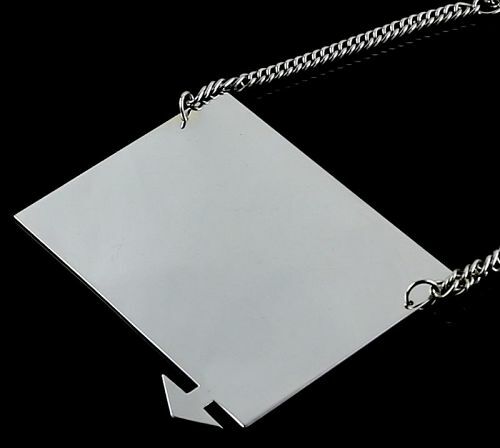 This necklace is part of the Directional series of jewelry crafted by von Ringelheim in the late 1960's. 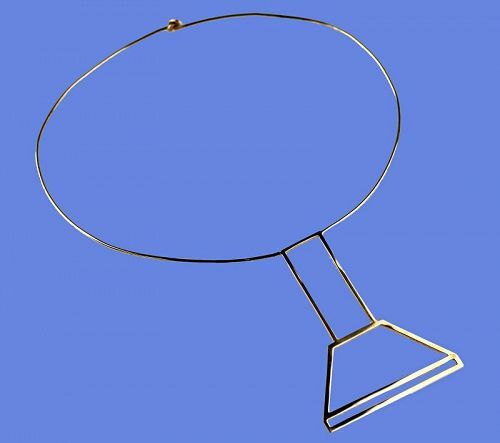 Large chrome plated pendant suspended from heavy metal chain. 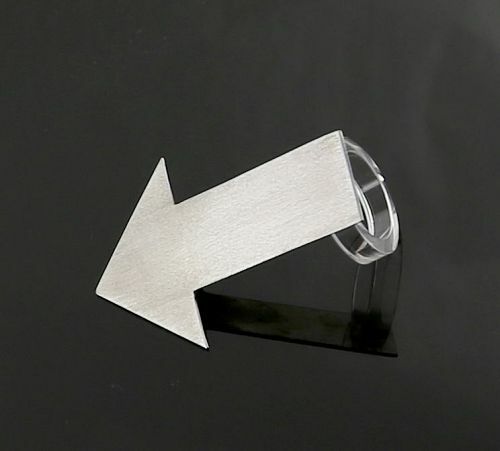 Pendant - 4 1/2" x 4"
This sterling and lucite ring is part of the Directional series of jewelry crafted by von Ringelheim in the late 1960's.